I hope everyone had a great weekend :) I'm sure I'm with everyone else that was so sad to wake up to MORE SNOW this morning! I'm trying not to get my hopes up but it looks like Spring just might be finally making an appearance later this week. I hope she's here to stay! 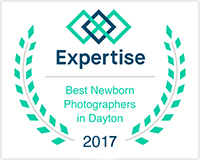 We photograph all newborn sessions in our in-home studio located in Lexington Kentucky. We have absolutely everything needed for the entire session!